Work has been SO busy lately. Whenever that happens I just want to get away and enjoy something new and wonderful. Unfortunately, what with buying a house and all, money is a little tight so gallivanting off to a foreign country just isn’t in the cards. At least not without some serious deal hunting. Instead, I’ve decided to live vicariously and seek out a memoir or two. For those of you who might be in the same boat at me, let me draw you attention to my five all-time favorite travel memoirs (so far). In case you’re wondering, Eat, Pray, Love is not on the list. 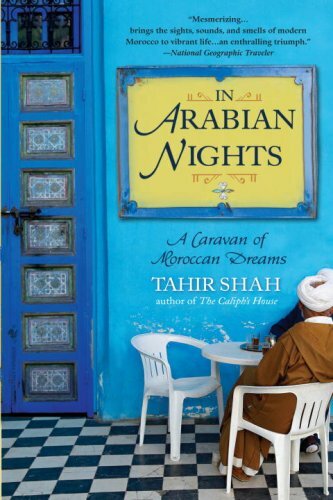 If you’ve read a few other posts of my blog, you’ll probably have already heard me gush about Tahir Shah and Arabian Nights. I can’t help it, this man just speaks to me. Shah is such an incredible writer and when you add that in with his reflection on his move to Morocco… well, it’s magic to me. 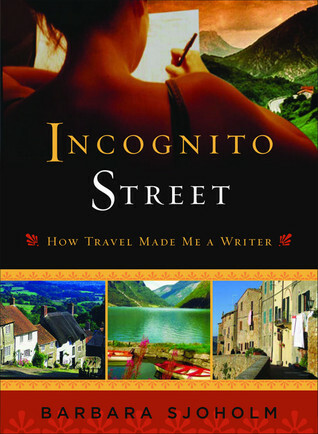 This book might not quite fit the category of “travel memoir” like some of the others, but the core is the same. It’s a book about discovering a new land – and therefore discovering yourself. Everybody and their brother needs to read this book (IMHO)! 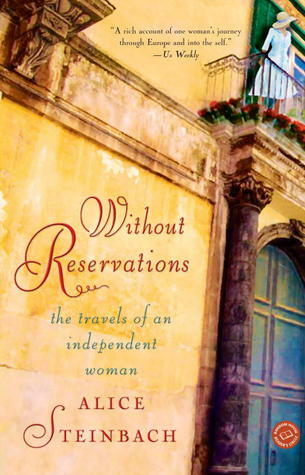 For me this book is the definition of the perfect woman travel memoir. This book was phenomenal – not only is Mary Morris probably the most self-honest person on the planet (I don’t think I could write my actions with truth like she, does even if I wanted to) but she’s a fantastic writer. Her personal struggles combined with the fascinating travel events make this a truly enthralling read. 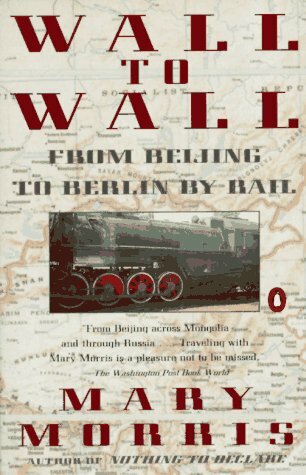 It’s set in such a dramatic time in history – Morris was in China, Russia, and Germany in 1986. Seeing some of those historic events happening through her eyes is unbelievably interesting. Great read! Shaffer’s memoir seemed very familiar. Woman travel memoirs tend to have a similar theme – the driving force in these stories is often a man back home. Why does she travel – is it because she’s running away or does she just love and enjoy what she’s doing? It’s hard, of course, to know. Part of a person, as a traveler, loves it. But the other part is exhausted. When you’re away from the place you grew up, even if you’ve been there for quite some time, you never can quite let down all of your guard. There are two things very unique and refreshing about this book – the pictures and people. Shaffer had snapshots scattered throughout and it was fascinating for me to go back and forth between her descriptions and compare them to the face in the photograph. And she described people a lot. In fact, every chapter was focused on someone else – someone she met along the journey. She didn’t so much analyze them as she did talk about her experience with them and by the end of the chapter you realized how Shaffer felt changed by them. It was a very refreshing way to read a memoir. You can probably tell from the title that I’m a bit biased by the plot of this story. It’s about travel, and writing, and it’s set in Spain. Clearly, I’m going to love this. Sjoholm doesn’t disappoint. She does a great job about remembering herself in this time the way she took chances, the people she met. She really learned who she was in the process of this journey and it wasn’t until later when she was reflecting and writing this story that she was able to understand the way her life was affected by this trip. It’s such a beautiful thing to be let in on – and my main reason why memoirs are some of my favorite reads. Like Arabian Nights, this book has more to it than just the travel bit. but it still will pull at your travel bone if you take it in. Grennan did what I would love to do – do something crazy because you feel like it’s the right thing to do and let it change your life. He has had such an incredible journey and has been able to take his travel to a new height. His book highlights that journey in of himself but he doesn’t forget to talk about the travel and country and people he met either. Did I mention, to, that this book is funny? Not something I expected from something about orphaned children! 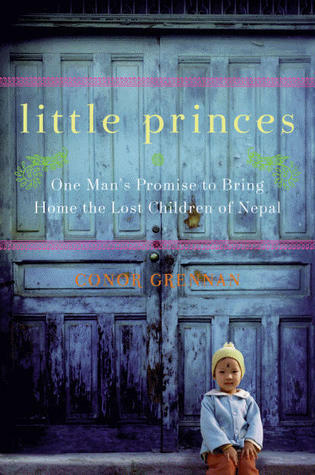 I read his via audio book and Grennan narrates it himself – so good! The best part about travel is that there’s always more to see – and the great thing about memoirs is that there’s always another one to read. I’ve narrowed down my choices to these three – any suggestions to which one I (hopefully) enjoy first? This is the kind of memoir I hope I never write. As cruel as that sounds, it’s what was going through my head as I read Steinbach’s tales of her so-called “Year of Living Dangerously.” (Actually, she may have called it something else but I really don’t want to re-read any of the book in order to find the correct wording.) Steinbach’s telling of her “adventure” consisted almost entirely of pre-made plans that were completely safe and her being chatted up by entirely harmless and friendly people who somehow were all the same. I consider myself a traveler. I think I have made a great effort in my life to not only see new places but to experience them as well. Because of this, I felt a sharp tang of disgust as a I read Steinbach’s supposedly risky adventure. I’m going to go right ahead and sound pretentious and say there really wasn’t much risk involved. This woman went to Paris, England, and Italy, staying in hotels and often participating in tour groups. To top it off she clearly had no financial concerns even with being away from work for an entire year. Please note that, in direct contrast with the book title, she wholeheartedly made reservations for every stop on her trip. Yawn. Don’t get me wrong, I’m all for traveling in ways that best suit you. My own “adventures” are in many ways not so different. But if you’re going to write a memoir about, there needs to be some pizzazz. By the end of the book I could guess what was going to happen – somewhere in town someone was going to randomly speak to her, they would talk, get tea, connect, maybe hang out for a couple more days, and then the cycle would repeat in another location. Oops, maybe I should say spoiler alert. Sorry, I didn’t even realize how much this book bothered with me until I started writing this review. I should pull back a little because I don’t think it’s entirely useless. I think Steinbach had a great year of travel and I love that she did it. I just regret I had to read about it in the way I did. I think Steinbach has a good writing style (if quite clipped, likely from years in her profession as a journalist) and she did make some wonderful observations from time to time. Sometimes she really made me think and there is one particular chapter about rain in Rome that allowed me to connect with her. But one chapter out of an entire book just isn’t enough. If you want a good travel memoir, bypass this book. On that note, in case you were wondering, bypass Eat, Pray, Love, too (I swear, they are almost the same thing). 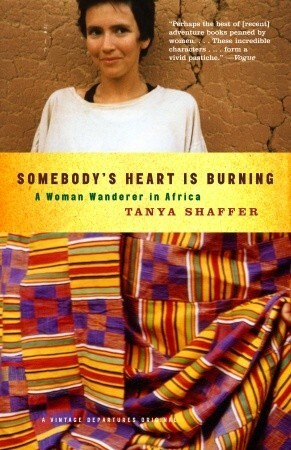 There are so many wonderful tales out there about women adventuring and traveling alone – like Somebody’s Heart Is Burning: A Woman Wanderer in Africa or even, Nothing to Declare: Memoirs of a Woman Traveling Alone.